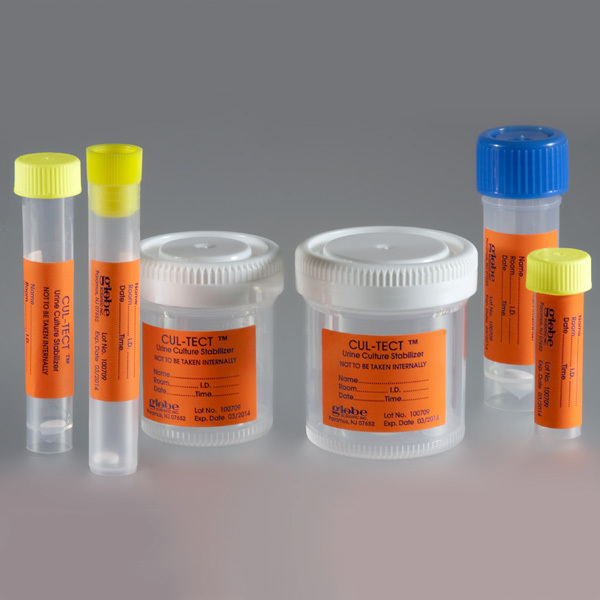 Cul-Tect­™ features a unique boric acid/sodium formate tablet that protects the viability of urinary tract bacteria for quantitation, culture and identification. The dissolving tablet stabilizes urine specimens for up to 72 hours at room temperature without altering microbiological testing procedures. More effective than boric acid alone, it helps prevent the "over-growth" of incidental organisms (typically skin flora) that may accidentally be introduced into the urine sample. Patient ID labels affixed to each tube, vial and container. ID labels contain ample space for writing the collection time, date, person's name and specimen number.